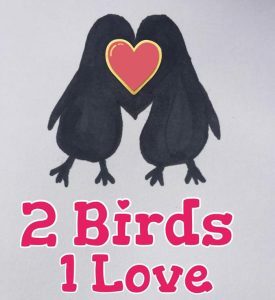 2 Birds 1 Love Lots Of Laughs! All Of 2 Birds Blog Posts! All Things Lil Dapper Dude! During the festive period we absolutely love a good day out, and where better than a trip to the farm, and in particular Tulley’s Farm. We’d seen this place advertised many times on our Facebook news feed, and its famous for other events such as Halloween , and their Escape rooms (something we are also really in to, so we will be sure to visit again!) so when we saw the Christmas event Tulley’s was running, we couldn’t wait to book on. It sounded amazing, with so much included in the price of the ticket, and so we booked on for the last Sunday before Christmas, to make sure we were completely filled with festive cheer before the main event, and what a truly enjoyable day we all had. The day before we arrived we received an email with useful tips for the day, which was really helpful in not only reminding us to turn up (because let’s face it, there’s always so much going on that it would be easy to double book or forget plans you may have) but also helping us to plan our day accordingly, with timings for each activity listed, tips for sensible clothing and footwear (thank god we wore our welly’s as it really was quite muddy, as suggested) and other general tips about cash outlets and the availability of Christmas trees to purchase. Luckily for us we were greeted with a dry day, although most activities were under cover so we know we’d have still had a great day regardless, however it was nice to be able to stroll around outside in between activities without having to worry about the heavens opening. The ticket office was very straightforward and efficient, and within a matter of minutes we were given our map and timetable and heading off to our first activity….making reindeer food. There was no order for the activities, you could do them at your own leisure, but this was near the front and had very little queue, so in we went with a very excited little boy. It was brilliant! We got shown to our own little station which consisted of a few bowls of different food, and a bag and scoop, which Finley could then fill with layers of the food in any order he fancied. When his bag was full he handed it to one of the helpful elves, who kindly fastened the bag and attached a cute tag, it was all very professional and really well organised, as were all the activities. Throughout the day Finley got to decorate gingerbread, this was a really lovely activity that wasn’t at all rushed and felt very theatrical with mother Christmas and her helper keeping all of the kids entertained throughout, with plenty of photo opportunities at the end. there was a post house where Finley got to write and post his letter to Santa in the special postbox…and at this point parents are handed a secret letter to post under children’s pillows upon your return home which includes a special message to help keep the magic alive…such a lovely touch. One of our favourite activities was walking through the elves secret forest donning magical spectacles, which made all the twinkly lights (of which there were thousands!) look like snowmen, Santa or snowflakes! Seriously you have to see this to believe it, but I immediately googled where to get these glasses when we were home as I could quite easily sit all day in front of our tree watching Santa dance about! The whole day also consisted of us completing an elf hunt where we had to search for the hidden elf posters dotted all around the farm to win a prize. There were loads and I have to say we actually missed 2 off of our sheet….these must have been really well hidden, but we still got our prize of a cute Christmas rubber duck. And of course the day wouldn’t have been complete without a trip on Santa’s sleigh, oh well ok it was a tractor/trailer really, but still a lot of fun and it took us to the little cabin to meet the big guy himself, and what could be more exciting than that?! The Santa visit was very sweet, first of all the children in the group had to wake him from his nap, and then they got read a little story and then had an individual chat with him and a photo opportunity with a professional photographer as well as the option to take your own snaps. This is a whole group activity rather than an individual visit, however it’s still super special all the same. Each child is then presented with a special star which can be exchanged for a toy in the elf’s toy shop, or a build your own bear. Finley opted for the bear, which most children did, and then had a lot of fun choosing, stuffing and naming his gorgeous Christmas keepsake, which by the way was a polar bear named Snowflake. The whole day was absolutely perfect. There are plenty of places to get food and drink, as well as lots of seating available outside and under cover for a picnic. It was also lovely to see a couple of outdoor campfires where you could and get warm and toasty. There are optional extras such as ice-skating and fairground rides, so of course I couldn’t resist a go on the dodgems with Finley, although they’ll still always be known as ‘bumper cars’ to me, as no matter how hard you try you just can’t get away from bashing into the other cars, I swear I almost gave myself whiplash! It was a lot of fun though, that was after we managed to stop the car spinning in circles so we could actually make it round the track a few times…definitely not as young as I used to be! We all really enjoyed our trip to Tulley’s farm and thoroughly recommend you book on to the 2019 Christmas Experience at Tulley’s Farm and we will be sure to return for other Events in the near future.